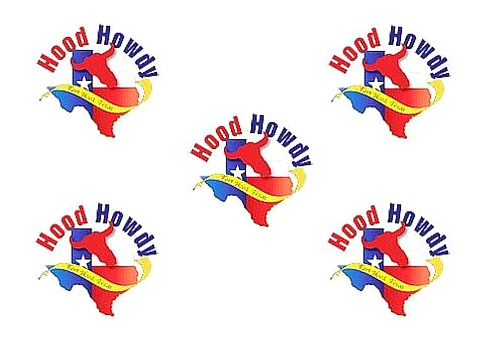 Hood Howdy is a bi-annual event that allows GKCC members, future investors, and non-members to market their business to the #1 economic impact on our community: Fort Hood. All Chamber members are encouraged to participate by contributing 500 promotional items (i.e. pens, flyers, keychains) to be included in goody bags and distributed at Hood Howdy on February 21st. Chamber Members at any level can contribute to the bag for FREE! Non-members and future investors may contribute one set of 500 items for a fee of $25.00. Items must be delivered to the chamber by 5pm on Friday, February 15th. A total of 500 goody bags will be handed out at Hood Howdy. Volunteers are welcome to join us on Tuesday, February 19th at 1:30 pm for a bag stuffing party at our Chamber! We will be stuffing 500 goody bags to be given to Families and Soldiers attending Hood Howdy. Come help us welcome newcomers to the community! For more information, contact Caity Rivera at 254-526-9551 or Caity@KilleenChamber.com.